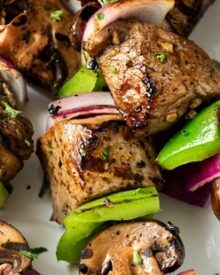 Tender pieces of steak are bathed in a flavorful marinade, skewered with onions, peppers and mushrooms, then grilled to juicy steakhouse perfection! 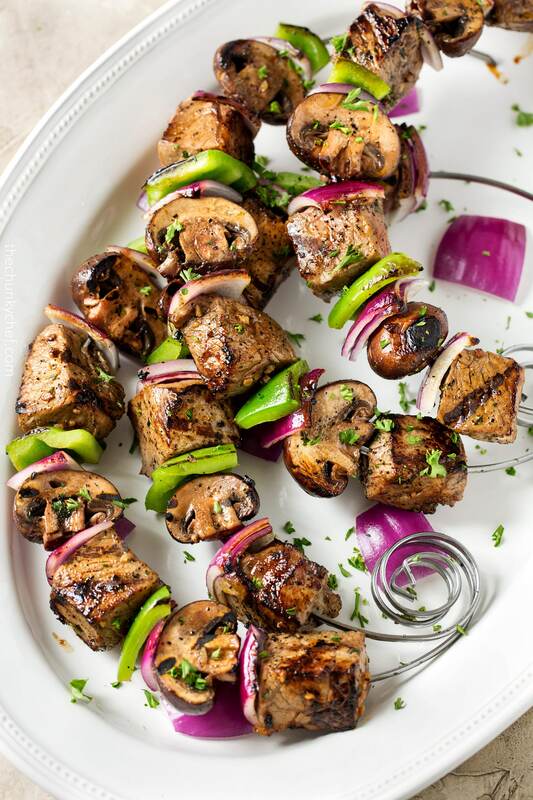 These steakhouse kebabs are the perfect meal to grill up at your next cookout or BBQ! They’re super easy to customize, and the flavor imparted by the marinade is oh so absolutely perfect! ** Post may contain affiliate links… meaning if you click on the link and make a purchase, I’ll get a very small percentage in commission. There’s never any extra cost to you, and I only link to products I actually own and use. Your support is greatly appreciated! I think it’s safe to say that we’re officially into grilling season, or at least it will be very soon. Seriously one of my favorite times of the year! Not only because grilled food just tastes ahhhhhh-mazing, but because my husband is the grill-master, which means I’m off the hook for at least the entree part of dinner. Lol, since I cook for a living, you’d think I would want to cook all. the. 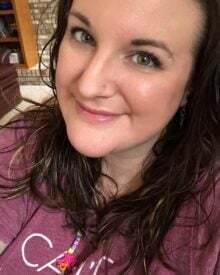 time., but you know, sometimes a Mom just needs a break right? When it comes to grilling, I love making up kebabs. Not only are they pretty to look at, they’re an easy way to grill everything at once, and food on a stick (or skewer) is basically the best ever! You know when you go to a great steakhouse, and your steak is just literally bursting with flavor? That’s where my inspiration came from for the marinade for these kebabs. 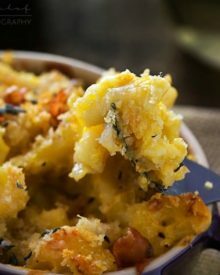 It’s full of savory flavors like soy, balsamic, Worcestershire, garlic, and dijon, mixed with a bit of sweet brown sugar to balance it out. Even if you don’t want to make the kebabs, you could definitely use this marinade for a great grilled or seared steak! To really compound on the marinade flavor, I also marinated the baby Bella mushrooms in the same marinade, and they absorb it SO well. Each bite is just flavor-packed!! As far as what to skewer alongside the steak and mushrooms, you can do just about anything you’d like. I love sweet red onion and I thought the vibrant green color of the bell pepper just made these look gorgeous. You can also use any type of steak that you prefer, just make sure you don’t use a cut of beef that’s meant for slow roasting. I used a couple of strip steaks I had in my freezer. So uncover that grill and make sure you have plenty of gas or charcoal, because these Grilled Steakhouse Kebabs are great for any weeknight or backyard BBQ! 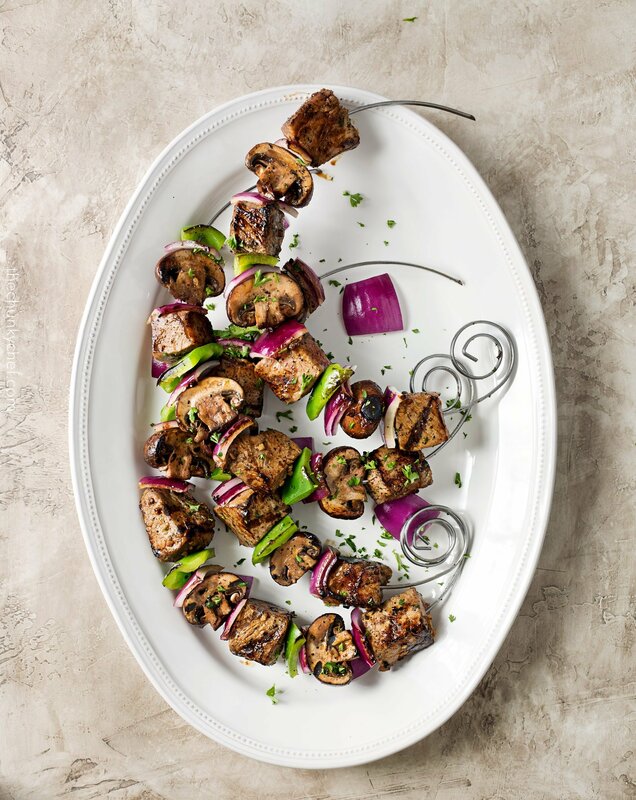 Circle Kebab Skewers – I love this fun circle shape, which makes them fit on a standard round plate! Meat Thermometer – Never guess how “done” the meat is again! 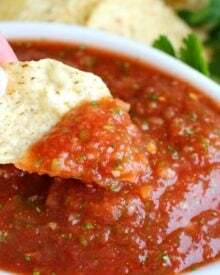 In a small mixing bowl, whisk together marinade ingredients. 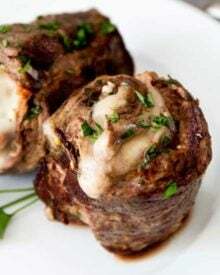 In a large resealable plastic bag, place steak cubes, and place the mushrooms in another resealable plastic bag. Pour 2/3 of the marinade into the steak bag, and the remaining 1/3 into the mushroom bag. 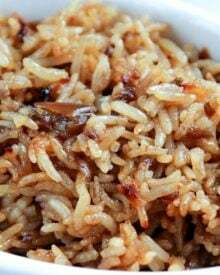 Place both bags into the refrigerator to marinate for at least 30 minutes, or up to overnight. Preheat grill to MED heat. 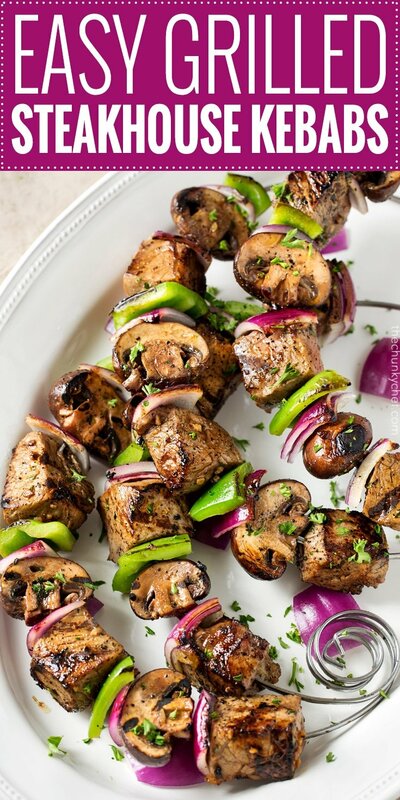 Skewer beef, mushrooms, red onion and green bell pepper, alternating them in whatever pattern you prefer. Grill for 8-10 minutes, turning often, until charred and internal doneness of the steak is to your liking. You may want to use a meat thermometer to check. Hey Amanda, I like these kebabs and spices you used for making them. They look yummy and I am sure I will make them this weekend. Thanks. What a great recipe! 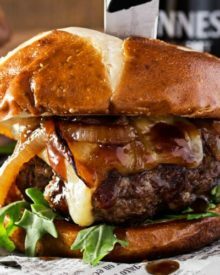 Cannot wait to start the grill season and try this recipe out! This makes me more excited about grilling season! Wow! This looks fantastic! I want this kebabs for breakfast, lunch and dinner! 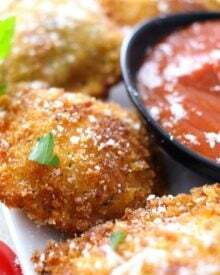 These are perfect for grilling season!! I bet they taste amazing! Hurray for grill season! 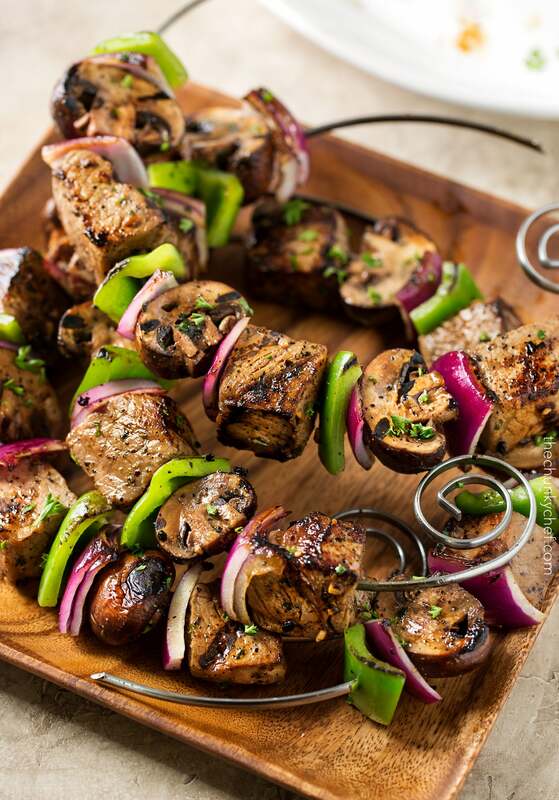 These kabobs would be perfect to celebrate! I think I love grilling season for the same reason — I get a little break! 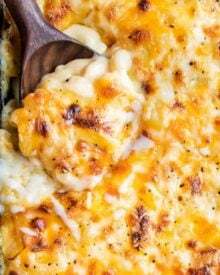 I’m definitely showing my husband this recipe — It looks amazing! This is SUCH a swoon-worthy entree! Seriously. All my favorite things in one dish and cooked on the grill. What’s not to love? 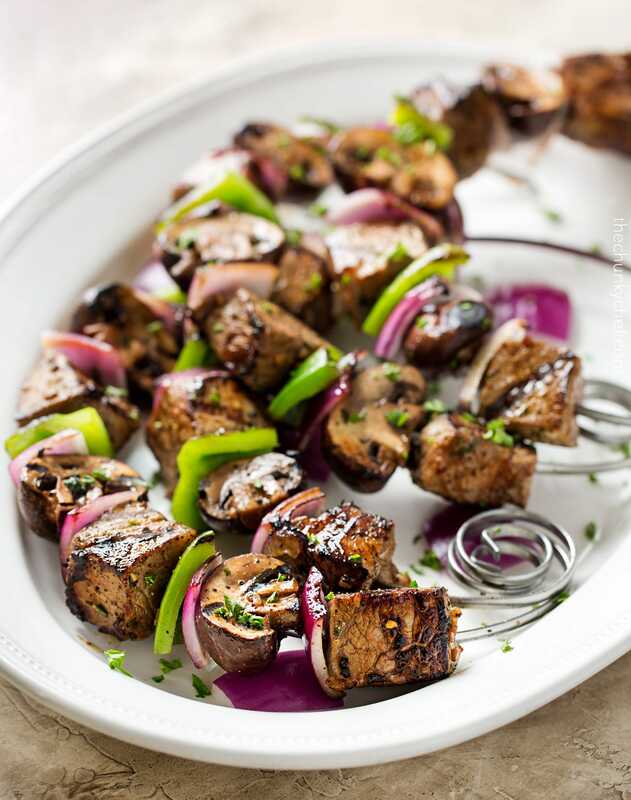 We make kebabs all the time in the summer – we’ll have to try these next!